Helen Donath Inteeview with Bruce Duffie . 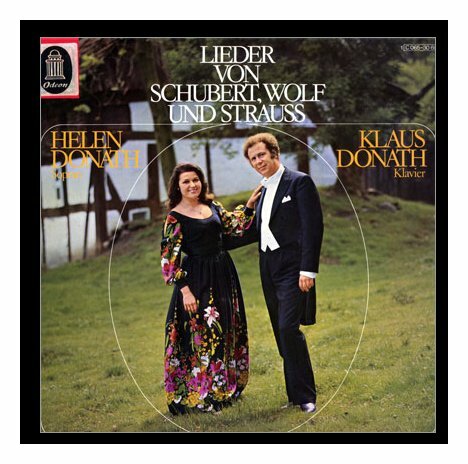 . . . . . . . .
Helen Donath (born July 10, 1940) is one of the greatly admired lyric sopranos of her age, noted for her pure timbre and interpretive powers, as well as her vocal longevity. She is equally adept on the opera stage, in recital, and in oratorios. Like many singers of her generation, she fell in love with opera through the Mario Lanza movie The Great Caruso. 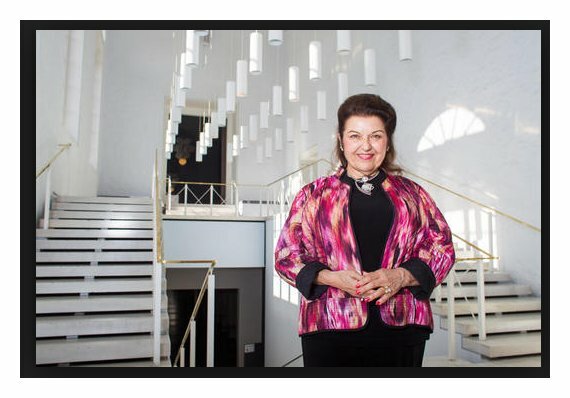 She first studied music at Del Mar College in her hometown of Corpus Christi at the age of 14 and later in New York with Paola Novikova, where she made her concert debut in 1958. 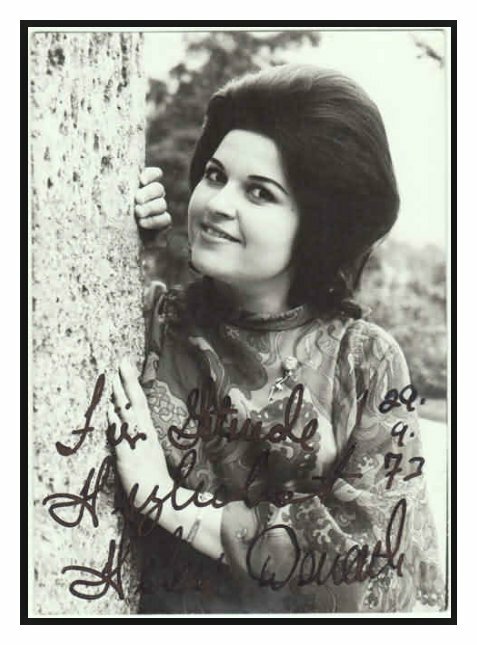 After auditioning for an agent who sent her to the Cologne Opera, she made her opera stage debut in 1962 in the comprimario role of Inez in Verdi's Il Trovatore. In 1966, she joined the Munich Staatsoper as a guest artist, beginning a long association with that house. During the 1960s, she also briefly became a protégé of Herbert von Karajan, but her persistent refusal of his offers of roles she thought were too heavy brought that rapport to an end. She was to have made her Metropolitan Opera debut in 1968, but canceled because of her later pregnancy; she didn't appear at the Met until 1991. 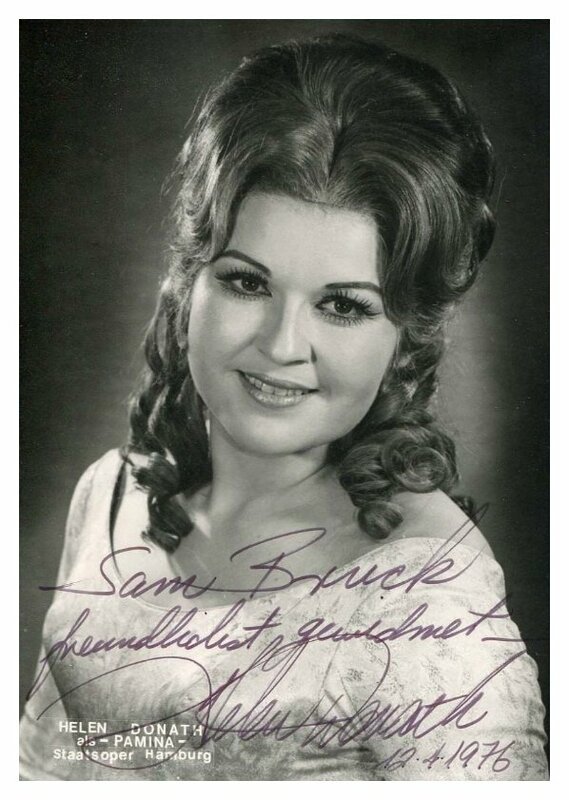 In 1970, she made her Salzburg Festival debut as Pamina in Mozart's The Magic Flute. 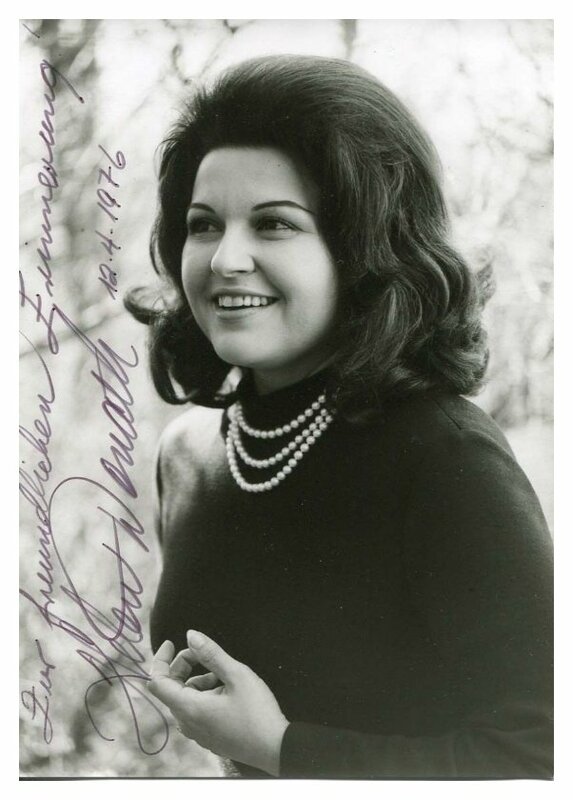 Her United States opera debut was in 1971 as Sophie in Der Rosenkavalier. In 1979, she first appeared at Covent Garden as Anne in Stravinsky's The Rake's Progress. Until her return to the United States in the early '90s, the majority of her career took place in Germany and Austria, and she was awarded the title of Kammersaengerin. 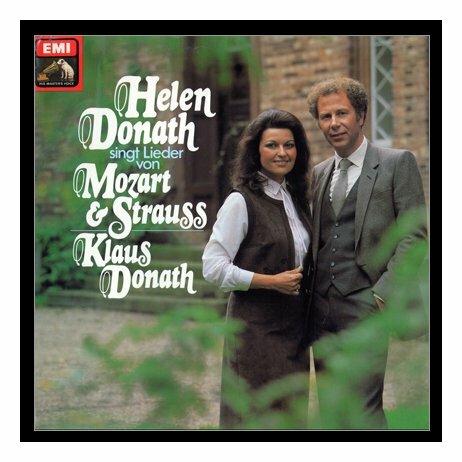 Her husband, who has also acted as her vocal advisor, is pianist, choir director, and conductor Klaus Donath. Their son, Alexander, is a stage director. In June of 1992, Donath returned to the Chicago area for the Opening Night of the Ravinia Festival. The work at that time was the Symphony #8 of Gustav Mahler with the Chicago Symphony Orchestra, the Chicago Symphony Chorus, the Milwaukee Symphony Chorus and the Chicago Children’s Choir, all led by James Levine. A review by John von Rhein in the Chicago Tribune the following day (an excerpt of which is quoted below) noted the vocal soloists, including Bryn Terfel who was then just a couple of years into his career. The day before this performance, Donath agreed to meet with me for an interview. She was bright and bubbly throughout our conversation, and there was much laughter seemingly all the time. While we were setting up to record our conversation, she mentioned that the barkeeper had called her ‘young lady’, to which she laughed vigorously. So that is where we began our chat . . . . .
Bruce Duffie: With so much singing all over the world already, are you happy to still be going strong? 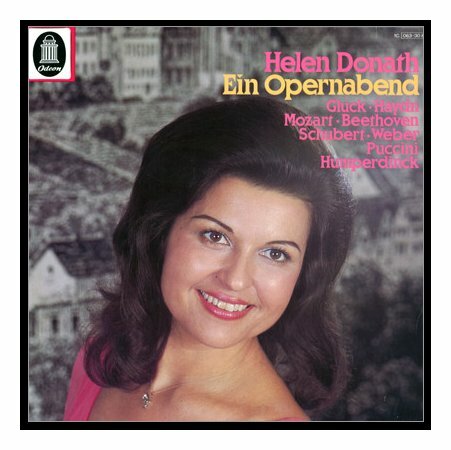 Helen Donath: Oh, I’m thrilled about it. One day when I was about thirteen or fourteen years old I went to see the film The Great Caruso. BD: At least you weren’t a cellist or some other kind of musician! HD: Yes. Mamma didn’t want me to be a cellist, she wanted me to be a singer! She didn’t really want me to be one later, but when she was waiting for me to come, she loved music so much that she wished that her child would be a singer. BD: Did she want you to go into operetta? HD: No, she just wanted me to sing, and I always did from the age of two. We even have a little record at home where I sang three little songs in three different languages. I grew up speaking three languages. I have that at home. I’ve put it on tape now, but I never play it for anyone. I get so self conscious! HD: Oh, yeah! I don’t think anyone would engage me... maybe for some children’s choir. Then when I was thirteen I begged my mother to get me a recording, so for my birthday I got the whole pack – all the tenor arias – but at that age I didn’t know that the music the tenor was singing was music that I wasn’t supposed to sing. So I learned all of the tenor arias, and when I was fourteen, George London came to Corpus Christi to give a concert. After it was over, I went and tugged on his jacket and said, “Mr. London, would you mind, could I sing for you?” He said, “Of course you can sing for me.” So I sang all of Pagliacci which I had phonetically learned, with all of the dramatic sobbing, and so forth. I really poured my whole soul into that, and when I was finished he said, “Tell me, what vocal category are you?” So I looked at the program and I saw ‘George London, Baritone’, so I said, “I’m a lady baritone!” I didn’t know about a ‘vocal category’, and he started asking if I was a soprano. I’d never heard that. HD: He probably was contemplating that! Then a few years later, when I went to hear him sing Boris Godunov in San Antonio, after the performance I wanted to have an autograph. All of a sudden he says, “Here comes my lady baritone!” Well you cannot imagine how flattered I was that he should remember me! I was absolutely floored, and I said, “How in the world did you remember me?” He said, “Not that many sopranos come along and tell me they’re lady baritones.” And three years later, when I was twenty-one in Cologne, we sang on the same stage! BD: Oh, that must have been a thrill! HD: It was. It was a very, very special occasion. I sang the Second Rhinemaiden. He was Wotan and Anja Silja was the Brünnhilde and Astrid Varnay was Sieglinde. Wieland Wagner staged it, and Wolfgang Sawallisch conducted. So I’ve been around! I tell the young Wagner singers, “I worked with Wieland Wagner. You will have Wolfgang, but I’ve worked with Wieland!” This year I had my thirtieth anniversary, so I’ve been at it a long, long time. BD: Has it always been as pleasurable as it sounds? HD: Always. My old voice teacher, God bless him, Mario Berini, is living in New York and is not in the best of health, but I love him dearly. He was a wonderful tenor who also sang at the Met for a long period of time. Mario Berini, an opera singer known for his interpretation of dramatic tenor roles, died on Monday at Beth Israel Hospital. He was 80 and lived in Manhattan. His wife, Anna Lee, said he had been ill for some time. Mr. Berini sang Cavaradossi in "Tosca" in February 1944 in the first opera performance at City Center. Two years later he made his debut with the Metropolitan Opera, taking over the title role in "Faust" with just nine hours' notice when the scheduled tenor, Raoul Jobin, became ill. 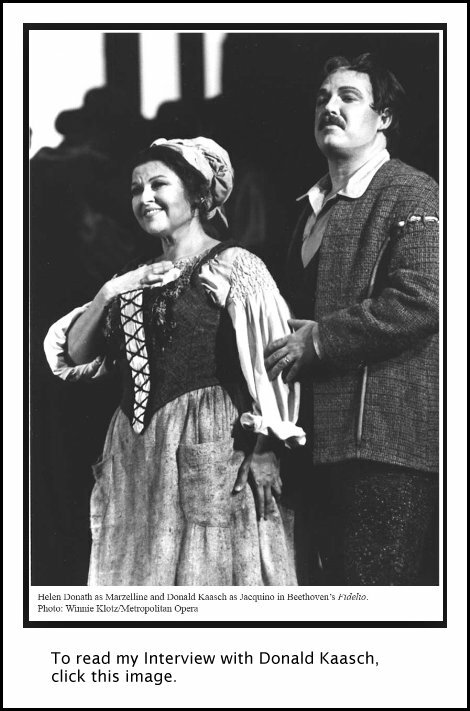 In his two seasons with the Met he appeared as Don Jose in "Carmen," Dimitri in "Boris Godunov" and other roles. He sang Rodolfo in "La Boheme" and the title role in "Tales of Hoffmann" with other companies, and also appeared on Broadway in 1946 in Ben Hecht's play "A Flag Is Born." Mr. Berini was born in Russia and grew up in California. He made his New York debut in 1940 with the San Carlo Opera Company and later sang with major opera companies and orchestras in the United States. He also sang at Radio City Music Hall and on radio and television. In the early 1950's, one of his vocal cords was severed during surgery for removal of a node. With his singing career over, he turned to teaching. Among his students were the soprano Helen Donath and the cabaret singer Pia Zadora. In addition to his wife, he is survived by a sister, Lynn Holzman of Los Angeles, and a brother, Alan Edwards of San Francisco. When he came to visit me in Germany, he asked about my trials and tribulations. I said, “Well, Mario, to really be honest, I’m embarrassed. I’ve never had any.” I really never did. I’ve had wonderful impresarios. When I first went to Germany, I was very lucky to get a position in ten days. I had a thirteen-day round trip ticket that I bought from Lufthansa. All my other colleagues said I was never going to get work in thirteen days. I was going to try, so I got this cheap ticket. If I did not find work, I’d have to buy a year’s ticket. I knew that I could always pay the difference. At that time it was not like now that you’re penalized. Back then, if you didn’t use the ticket, you just paid the difference and then you could stay. I was in Düsseldorf, and my agent sent me a telegram telling me to go to Cologne and audition. There were forty-five young singers that came to that audition, and I thought that was wonderful – all this work for all these people, not realizing that the forty-five of us were singing for one position! I was wondering why everybody was going. Then the boss asked me in and requested that I start the next week. That was November, and I said, “Oh, dear me, no, I’ve got to go back home for Thanksgiving.” He said, “Okay, go back for Thanksgiving.” Then I said, “While I’m there anyway, couldn’t I stay for Christmas and maybe even New Year’s?” So he said, “Could you please tell me when you want to start!” [Much laughter all around] When I think of the chutzpuh, that was really something. HD: Of course, but when you’re twenty-one and coming from Corpus Christi, Texas, not having really any knowledge of most things, I really stepped in many puddles at the beginning of my career. I am often very thrilled to see that young people still do the same thing today. It makes me feel very good because sometimes I used to think that I was the only soprano that came to Cologne who was not very well prepared. BD: So your advice to young singers is just be yourself? BD: Has he directed you yet? HD: I’m hoping that will happen at sometime because my husband, Klaus, is now the General Music Director in Bath, and they were going to do La Traviata. Renée Fleming was coming to do her first Traviata and since she got pregnant and had so much to do with The Ghosts of Versailles, they changed the program to Bohème, so Alexander’s going to be the assistant director, and Klaus will conduct and I will sing. I don’t really want the people of Bath to have the feeling that now the Donaths have arrived and we are taking over the City! We don’t want to do that. We want to have many talented young people, as well as a mixture of situated artists who would be willing to come and perform with us there for less than their usual fee because England just doesn’t have that kind of budget. Not everywhere is like Munich or Vienna that can really afford to dig deep in the pocket. That’s not really even that important. For me it’s ‘prima la musica’; it’s really THE most important thing. BD: The artistic rewards are such that would make you come some place where monetary rewards are not as great? HD: Oh, absolutely. For me it’s primarily that. It is very seldom when I’ve been to venues where I’ve not felt comfortable and have been rewarded greatly monetarily. I must say usually I’ve always enjoyed making music with 99.9 per cent. But there have been two or three places where I have not felt comfortable. I’ve felt there was a lot of static in the air. It has absolutely astounding the way one has been accepted here at Ravinia. Zarin Mehta [Zubin’s brother who was Executive Director and later CEO of the Ravinia Festival (1990-2000) and then was Executive Director and later President of the New York Philharmonic] welcomed us. 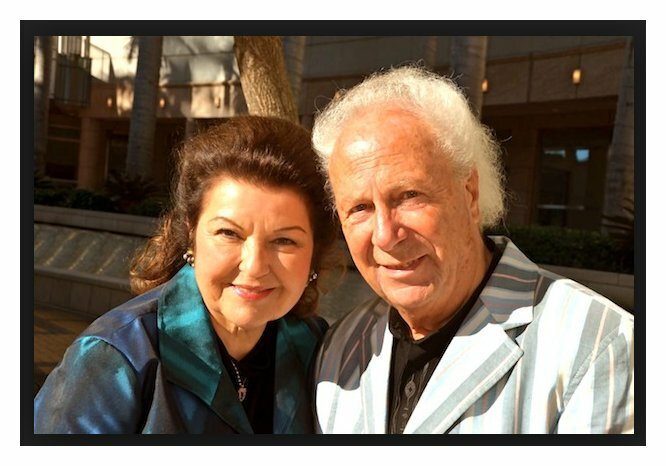 I came with my friend and we went to hear, watch, see, experience Victor Borge. It was an evening! I said I’ve got to stop laughing or I’ll have to cancel my own appearance! [Both laugh] He was so funny, and one had the feeling one was in his living room at home where he was just chatting with us and giving a splendid private evening. It was absolutely magnificent. Mr. Mehta greeted us as if we were long lost friends, and James Levine has been ‘divine’. It’s been absolutely wonderful, and we just hope with all our heart that tomorrow is going to be as splendid as the rehearsals have been. It’s been a joy, and it has been crescendoing since we have arrived. HD: I did some have doubts when I saw the enormity of the pavilion. I had no idea what was going to confront me when I arrived here. I didn’t even know that it was open. No one had the graciousness to tell me this, probably wisely so. But the acoustics are very fine, and for the lawn it’s augmented and so it’s just fine. BD: How is it on stage for the singers? HD: I feel very comfortable up there. I don’t know what it sounds like out in the pavilion, and of course this piece is divine. If one loves Mahler and if one listens to the text and knows what this whole thing is about, I feel like I’m floating, I really do. For me it’s just so divine. I love singing his Second Symphony, and the Fourth of course. I’ve recorded both with Eliahu Inbal, but it’s very special, and the way James has done it, he carries it to new heights and he just smiles from ear to ear. He gives you so much courage and so much Luft. You really have a joy to want to perform. He really carries you. It reminds me of when I used to work with Kubelik, or with Colin Davis. He has that kind of [gasps to show wonder], and perhaps not quite the joy but the feel for singing voices that Sawallisch has. It’s all that wrapped into one big huge James Levine. It’s really marvelous because it’s the first time I ever worked for him. So it’s quite a premiere for me. Here I am, I’m going to be 52 in July and I have all these premieres I was 50 when I met my Met début, and now all these wonderful things are happening to me. I couldn’t be happier. It could easily be that my singing profession would be completely over, and I wouldn’t shed a tear because the dear Lord has given me thirty absolutely magnificent years of allowing me to do all of this. And all these recordings I’ve done... I’ve recorded over a hundred CDs and LPs. BD: Are there some solo recitals as well as major works? HD: Yes, there were many. They come and go; you know how that is with the record companies. I’ve been talking to two record companies now about doing some new ones, and because of the reputation I have in Europe, they want me to do lesser known repertoire to give it a boost. Of course that will sell wonderfully there, but it will be a little bothersome in the United States because not everyone will want to hear Pfitzner and Schreker and other people that no one knows. So we’ll have to try and see, maybe just do a completely bizarre program with absolutely beautiful music. I must say that these songs are divine. They are really wonderful but most American listeners will not know them. Sometimes the Japanese will buy them because they’re interested in hearing the repertoire, and there are buffs in the United States who will grab something distinctive and different like that. I just got through recording Figaro. I did Susanna with Colin Davis and the Haydn Orfeo ed Euridice with Leopold Hager, whom I’m going to work with New York this summer in August. We’re going to do Mostly Mozart. I’m going to do La Finta Semplice, which I recorded with him heaven knows how many years ago. I just did Elijah with Masur. It’s just been going and going and going; it’s amazing for me. My mind boggles sometimes, and I’m absolutely humbled and really deeply grateful for all this wonderful life that has been given to me. BD: When you’re presented with the ideas for possible contracts, how do you decide which ones you’ll sign and which ones you’ll decline? HD: It’s actually very easy for me, but it is perhaps the hardest thing that the young singer must learn. I try and tell all young singers that they have such beautiful instruments and must take care of them. That was the way I always felt myself as a young singer. These are gifts that are given to me, and I’m not going to throw them on the ground and trample on them. I’m going to put them in a very special place in my heart and polish all the time. Take care of the instrument. See to it that you do the right repertoire. That was one of the problems that I had; really it was the only problem. I love Karajan deeply, because when I was pregnant with our son, Karajan was like a grandfather. He took care of me, and when Alexander was born, he used to put him on his lap and take his little fingers and play on the piano. I’ve experienced so many heart-warming and beautiful moments, and when he asked me to do Eva, he said, “That’s what I want! I want a young and lively and light singing Eva. It’s a recording. I don’t want that on the stage, I want it for the record.” I said, “I won’t be able to do it on the stage because it is just too much for me.” So I waited seventeen years before I did finally do it on the stage. I’ve been doing her now since 1986. I’ve done it a lot in Seattle, Munich, Dresden, and now it’s really become my part. BD: Tell me about her! HD: How do you mean? BD: Let me ask the dangerous question. Could she have been happy if she wound up with Hans Sachs? BD: What if he had never shown up? HD: Exactly! If he had never shown up, definitely! If he had never appeared, I think that Eva would have wiggled her way into Hans Sachs’s heart, and would have really been into it, even though he tells her he is too old for her. I would have, really, at that age and stage. I would have refused to marry Beckmesser, and I have had some really magnificent Beckmessers, starting with Hermann Prey. But I think that Evchen had her heart so set on Walther when she first speaks to him. It’s so like what I told you earlier. I never wanted to get married. I said: Vissi d’arte! I really set my sights on going to give my life to music and to the arts, because you really can’t mix marriage and art, I thought. Then one day I had a rehearsal for Carmen, for Micaëla with Klaus. He walked through the glass door and had on very fine green cord jacket, and my brain just went ‘clangalangalangalangalangalangalangalanga!’ [Much laughter] Really, believe me! I absolutely almost dropped dead. I saw this man and I said to myself, “This man or no man! But I bet he likes tall, thin blondes!” He is my sweetheart, and I think that was exactly the situation with Evchen. Walther was her man of destiny, almost Karma. As a good Christian you’re not supposed to even think something like that. But I do somehow think that people are meant for each other, and if you’re one of the lucky human beings on this earth, you find your partner. Klaus and I often say we’re not two people, we’re one! It’s almost excruciating to have to be apart. The telephone company keeps us alive! BD: And you two keep the telephone company alive! HD: Oh, believe me! [Both laugh] That’s why we never became millionaires because they got all our money! And we don’t care! When we had our son, Alexander, we had a nanny until he was ten. The four of us used to travel, so you know what kind of expense that is to have four airplane tickets and two to three bedrooms. After Alexander got to a certain age, we wouldn’t let him stay with his nanny. He would have his own little private next door room where he would have his privacy, and we’d have ours and nanny had hers. Nanny was wonderful! She’s a part of our family too. I’m Godmother of her daughter. We don’t have anyone we’ve taken into our homes that is still not with us all these years. It was important for us to live. I try to tell young artists that if you can, if you bear the thought of having a family and having a child and having a wonderful husband, do it because the priority in life is to live. BD: Coming back to Eva, what happens to Eva and Walther in the fourth act? HD: Ah!!!! [Laughs wickedly] I honestly feel that it’s the same situation as Klaus and myself. I think that they go back to Franken. She goes with him, and she is his wife and is devoted to him, as a good German wife is. She’s a good German Hausfrau and raises of Walther’s children. They have beautiful little girls with brown hair and beautiful, beautiful braids. That area of Germany has exquisite people. They are the salt of the earth. When I see blonde Evchens, it turns my stomach because they’re not. They are brown-haired, really down to earth, chunky, cute, little beautiful little sweet rosy-cheeked women. They look like Washington apples! I just love these women. They go into their gardens and reap the most beautiful crops; they’re absolutely divine. That’s what I really feel. Maybe it’s because I have such a happy life. It’s just like with Pamina and Tamino. I have a little bit of doubt with Sophie and Octavian because of the Viennese situation. I always try to say that they’ll work it out. They have their bumpy marriage, but I think that they figure it out... or maybe not! [Much laughter] Evchen could always say, “I’m going to go with Walther, but if I’m disappointed or if it is not what I thought it should be, I always have Hans Sachs to come back to!” I’ve had situations on the stage at the end where I have had Walther in my right hand, and just at the last moment I would clasp Hans Sachs. I talked to the producers and said that I thought we’re building in a little bit of unfaithfulness in here, and I didn’t really feel comfortable doing this. They told me I was thanking him, but somehow I felt it’s not looking like that. But I don’t think that happens. Magdalena has really trained her well. They’re witty women. They come in a period of time in the Middle Ages, and you think about, for instance, The Merry Wives of Windsor. That is an age that is very enlightened. It goes back and forth in history where women have blinders on, like horses, and don’t see anything. They’re all very close and very prim and very properly taken care of. Those were witty times. It was very open and not closed at all. That’s the way I feel. BD: Is it easy bringing someone from those kinds of times on a stage to women of our kinds of times? HD: Oh, yes, definitely. I feel very comfortable with it. In Hamburg it’s done at the beginning with ‘30s costumes, and only in the Schusterstube they say, “We’re making believe that we are in old Nuremberg, and we’re doing a ritual here that has been carried forward to all these years.” It is like having a Shützenfest where the archers have their big beer fests, and they all get dressed in traditional costumes. All over Germany they have these beautiful celebrations. 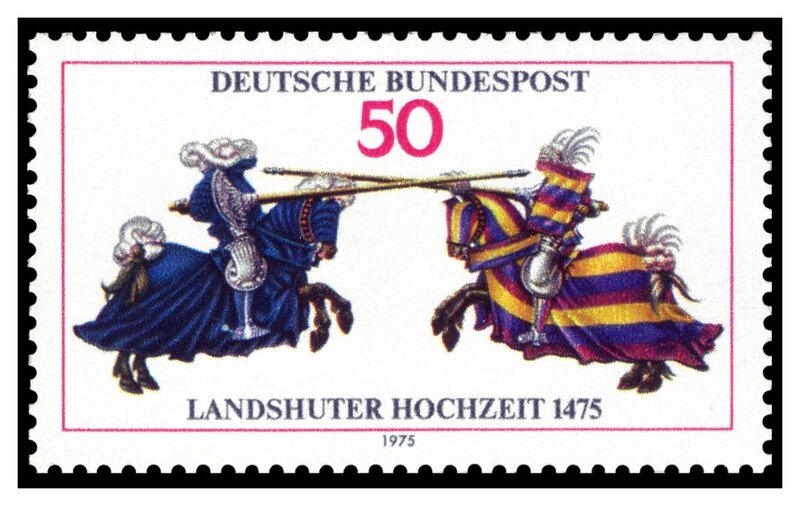 In the Landshuter Hochzeit, they all dress in Mediaeval costumes, and have lances and spears and cover the horses in these beautiful draperies. It’s absolutely wonderful, and they always have good weather. It’s very strange as though there is some protective hand that’s over this. We did the staging that way, and it’s not difficult in that part to put Eva into the twentieth century because it’s a period in time where it is valid. On the other hand, someone like Pamina or Micaëla... It’s difficult for me if someone wants a very placid Micaëla. It’s really not possible for me because that girl is from the mountains. She’s a real stout, really wonderful young girl who comes in the name of the mother to come and get Don José. I show calm in my forehead. I show my eye teeth and take José back protectively to his mother, because he’s a weak man. In Bohème, those were times that were more prim and proper. Musetta can be free because she is a woman that has no boundary, but Mimì is a quiet and reserved person, I feel. BD: So in all of these characters, you have to do a lot of research into when they lived and how they would really react? HD: I try to! You aren’t always rewarded with a staging that is consummated that way in Germany. They do a lot of experimental theater, but I’ve been very lucky to have magnificent directors like Zeffirelli, Rennert, Kupfer. I don’t know what I’ve done to deserve this. I can only say thank you. BD: It’s because you’ve sung so well! HD: Ha! That has nothing to do with it. There are other artists who sing beautifully and were wonderful human beings, and who give everything they have to give. That is another point, and is one of the great criteria. For me it’s very, very important as a singer because we have been endowed with a gift. I don’t feel like this is a profession; it’s a calling. I feel very strongly about that, and when you discover that you have this gift, you are you are destined to be in this profession, and you must give. The body has to vibrate. The vibrations have to go out and you have to try and touch someone, even if there’s only one person that feels it. Often the audiences will come and listen to a piece, and they think the music is wonderful, and everything, but they don’t feel the actual touching. It doesn’t always succeed but I always try to hug someone with my voice. BD: Are you ever a slave to the voice? BD: And sung yourself out? HD: Right. It never occurred to me. I would never have been known to you today, exactly. It’s a warning to all young singers; it’s a big, big temptation. You’ve got the Devil sitting right on your shoulder saying [whispers], “Do it, do it. You’ll become very famous – not for long – but you’ll very famous!” Everyone will know you for five years and then you disappear. That’s my whole point. For me it’s not important to become famous. For me it is important to touch someone in a performance, and carry the glory of God in the vibration of the voice, and sooth the hearts of the people who have been working all day. Hopefully they’ve been working in something that they love, but if they’ve had to work at something that they don’t love because they just need to nourish themselves, and don’t have enough money to have the luxury of doing something that they really love because they were not fortunate, then I want them to sit in that audience and I want to give them all the love in the world through music. I want to give them peace and quiet and love. I want to excite them; I want to make them happy; I want to make them sad; I want to soothe their souls and get them exited and do everything all at the same time. BD: Is there any chance you’re giving too much? HD: I hope not, because then there’ll not be anything left for the next batch! Then I’d be giving myself out and that wouldn’t wise. BD: When you’re on the stage, are you portraying this character or are do you become the character? HD: Absolutely, I become the character. It’s very important for me to do so. There are things that I cannot do because I cannot slip into the character. There are parts that I’ve been asked to sing and then I look at them – for instance Pasquale. I cannot sing Pasquale because it doesn’t really ring true for me. People say that she’s lying, and I don’t like to lie. I can’t stand up on a stage and lie to people. For someone who is actress enough to be able to slip into that and do it, that’s absolutely correct and fine and wonderful. Strangely enough – though I’ve never tried it – something like Salome would be easier for me to do than Pasquale. That girl was wacky, but in Pasquale she’s mean to him, and I don’t like to be mean. Salome is not very nice for chopping Johannes’ head off. I mean, please don’t get me wrong. I think she’s a psycho and that makes a different situation. BD: So she’s not aware of her evil? HD: Exactly. She doesn’t really know that she’s been naughty. I always try to make Pamina a little bit wiser than perhaps she really is. There are moments when he tells her not speak to him and she does it anyway. That, I think, is a little bit silly. I have never done Elsa exactly for that reason – because Lohengrin says please don’t ask me my name. So what does the girl go around and do? She asks! BD: She’s pushed onto it though. I don’t think she would do it of her own volition. She’s pushed by Ortrud. HD: She’s urged, but what bothers me is that she succumbs to the urge. BD: So you, you want a woman of strength? BD: Do you adjust your technique for different sized houses – big ones and small ones? HD: That’s a little bit of a tricky question. If your technique is really fundamental, your voice will always adjust itself to the room. It has something to do with the way that I have been taught. I had wonderful teachers ever since I started voice lessons when I was fourteen. Then when I was twenty, I had the teacher of my voice teacher, and he was a catastrophe. But that was wonderful because at a very young age I learnt how not to sing. Then I looked desperately and found Mario Berini, and he put me back on the track within six or eight weeks. [Demonstrates a humming exercise on three notes up and down] That’s all we did. At the beginning it was not even functioning. The vocal cords were swollen and wouldn’t close any more. It was terrible. I thought really I had lost my voice, and he helped me get it back. Then I went to Germany and met George London’s teacher, Paola Novikova. [Novikova (1896-1967) was Russian-born coloratura soprano who studied in Germany, and in Italy with Mattia Battistini.] She was also the teacher of Nicolai Gedda, Kim Borg, Hilde Gueden, Hilde Zadek, Erich Kunz... it’s a humungous list. She gave me the real mask, and that was the technique I used for many years. Then about ten years ago, a former colleague of mine was talking to me in Munich, and she said there’s so much more I could do with my voice. I am always all ears for everything, and she showed me exactly what to add to what Novikova had taught me. With just that little zip, more has just opened up all sort of dimensions for my musical and vocal career, which is wonderful. People told me when I sang at the Met that it was astounding to hear my voice through all of house. I don’t think I’d be able to pull that off with because this is a really a humungous place. When I do Ännchen, people say they hear my voice over the whole thing, over the whole shebang! It’s not because I want it that way but it’s just because I try to reach out and touch someone with it. BD: That sounds like it’s the focus. HD: The focus, yes. Then if you have a smaller room, people wonder if the voice going to be big enough for a big room. I always tell them that I do not insult their ears when I’m in a small room. Even in closeness, I never try to sing so it begins to pierce. Then it’s harsher and it’s not comfortable, and I get hoarse because I’m forcing! For me it’s always important that after the performance to be able to turn around and do it again because I am not tired. There are times when I will get tired, and I’ll think I didn’t watch out! BD: Do you adjust your technique at all differently for microphone, for recording? BD: [Interrupting] She will be here at Ravinia later in the summer! HD: Oh, Edith’s wonderful. We’re very good friends. We started together in Cologne. She is a delight. She’s a beautiful girl. She’s very, very shy in comparison to me. We’re like night and day, but she’s a wonderful, wonderful woman and a great artist. Give her big hugs from me when you see her. [Coming back to the topic] That first recording also had Franz Crass, who is a case in point for instance. I was having an operation on my nose just before I was thirty. Franz was also having an operation on his nose in Munich, and our doctor told me I would have to readjust because the breathing is going to be different. I would have to refocus my whole technique and learn because now I am going to be breathing more easily. Let me warn all singers, it’s not worth it to have that thing done. It’s better to learn how to breathe with that crooked nose because it’s all clogged now again. It doesn’t matter; it really doesn’t matter. Just learn how to live with it. Franz was told to do the same thing, and not to sing after this operation for three to four weeks. I was told, as a matter of fact, to stop singing for about four to six weeks because, as a lyric soprano, everything is much more tender and much softer. I was urged to take some time and not to sing. So I cancelled everything that I had, but Franz said there’s a performance next week and that’s not going to be a problem. Well, that was the beginning of the end. He sang a season and that was it. He always tried to come back and he never really found the focus again. That was one of the great voices of all time. It was just like Ridderbusch, and these are special timbres. But that was it, and that’s exactly what I’m saying. Take care of your instrument as much as it sometimes hurts to do so. Be proud that you have it and guard it because once it’s gone, you’re not going to be able to fulfill the duties that you were put on this earth for. Or, maybe I’m wrong. Maybe this was supposed to happen and it’s his own personal growth that he’s having to go through in order to show that he will live his life and still be happy. BD: I hope he’s happy in what he’s doing these days. BD: Well I am very glad you have taken such care of your instrument. Thank you for seeing me. I appreciate it very much. HD: It was MY pleasure! It was a joy to speak to you. You’re so responsive, just facially, you’re visually alive. BD: Well, I’m loving what I’m hearing! 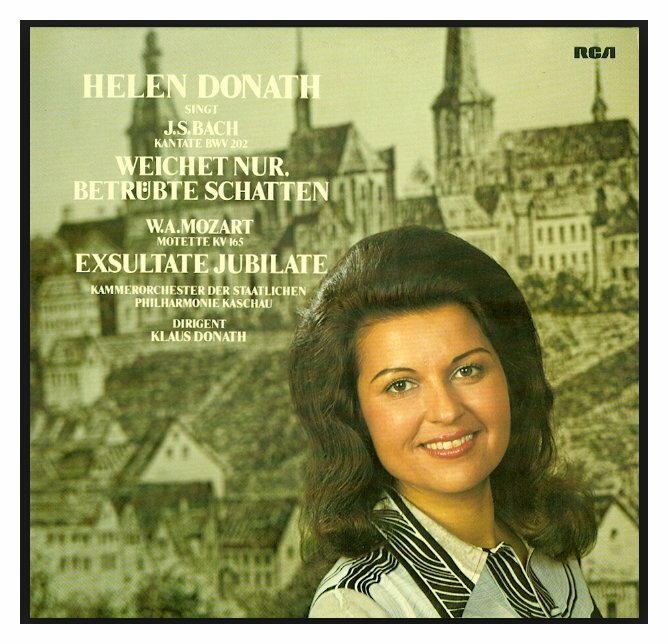 here are some of the other recordings Donath has made over the years . . . . .
[Names which are links refer to my interviews elsewhere on this website. They are only linked once - repeated appearances do not have the link. This conversation was recorded at her hotel in Northbrook, IL (a suburb of Chicago, near the Ravinia Festival) on June 18, 1992. Portions were broadcast on WNIB in 1995, 1997 and 2000. This transcription was made in 2014, and posted on this website at that time. My thanks to British soprano Una Barry for her help in preparing this website presentation.